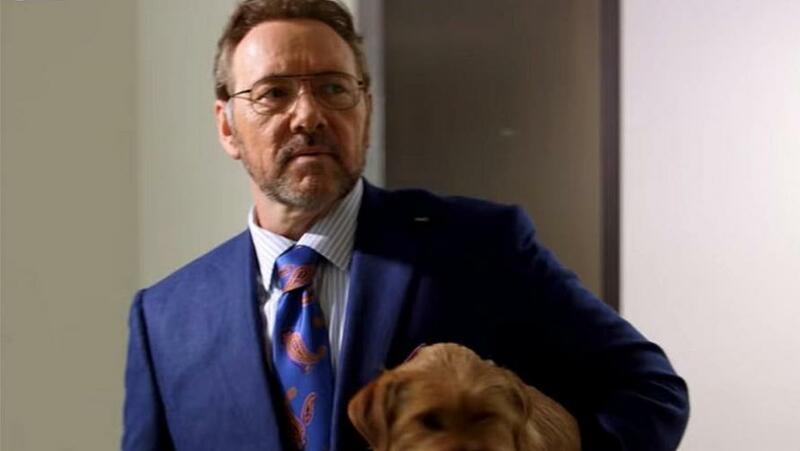 Scandal-plagued actor Kevin Spacey's latest film "Billionaire Boys Club" earned only $126 U.S. dollars in Friday's debut, and only $618 for the entire weekend, marking a career low for the disgraced Hollywood star. "Billionaire Boys Club" was filmed in 2015 and released with no publicity following a premium VOD release last month. The film brought in $126 dollars on Friday from eight locations. Four additional cinemas reported Sunday earnings, putting the final estimated weekend at $618, according to those with access to grosses. Put another way, that's a per location average of roughly $56 for the weekend. If going by the average 2018 ticket price to date of $9.27, that means about six people showed up at each theater, on average. Titles that debut first on VOD aren't generally big draws at the box office, but Billionaire Boys Club is faring particularly poorly. The fate of the film was left in serious question after Spacey was accused last fall of sexual assault by a number of men in the U.S. and England. Netflix and MRC fired him from House of Cards, while Ridley Scott replaced Spacey in All the Money in the World. Earlier this summer, distributor Vertical Entertainment said it would go ahead and release Billionaire Boys Club on VOD and in cinemas. "We hope these distressing allegations pertaining to one person’s behavior — that were not publicly known when the film was made almost two-and-a-half years ago and from someone who has a small, supporting role in Billionaire Boys Club — does not tarnish the release of the film," Vertical said in a statement at the time. "In the end, we hope audiences make up their own minds as to the reprehensible allegations of one person’s past, but not at the expense of the entire cast and crew present on this film." Directed by James Cox and starring Kevin Spacey, Ansel Elgort and Taron Egerton, the film is based on a true story of a group of wealthy boys from Los Angeles during the early 1980s. The two-time Oscar winner for 1995's crime thriller "The Usual Suspects" and 1999's drama "American Beauty" has been accused of sexual harassment and abuse by some men. As a result, he was fired by the streaming service, Netflix, from the cast of the last season of "House of Cards." He was also edited out of the film "All the Money in the World." Meanwhile, in the latest shocking twist involving the #MeToo drama, Asia Argento, the Italian actress who was one of the first to publicly accuse Harvey Weinstein of sexual assault, secretly paid off a young male actor accusing her of sexual misconduct in the months after her revelations about the disgraced movie mogul. Shortly after the report was made public on Monday, Argento's ally Rose McGowan publicly distanced herself, tweeting, "I got to know Asia Argento ten months ago. Our commonality is the shared pain of being assaulted by Harvey Weinstein. My heart is broken. I will continue my work on behalf of victims everywhere." And with the first cracks now appearing in the credibility of some of the #MeToo leaders, will a counter move emerge next, in which men accused of sexual harrassment dare to speak up?